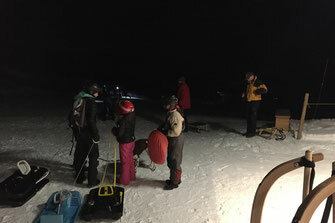 Full Moon Sledding - Webseite der Jaun Gastlosen Bergbahnen! Experience Jaun by night, even the ascent with the Gastlosen Express in the spotlight and its ghostly shadows is an experience. Enjoy a fondue before or after the sleigh ride, reservation obligatory. 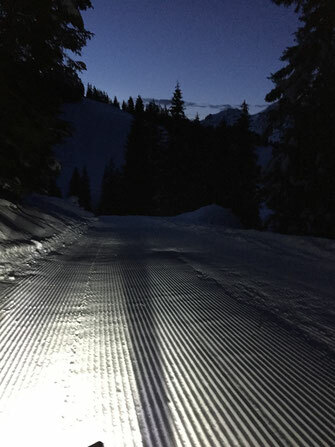 From 6:00 pm to 7:00 pm, the Gastlosen Express is open only for sledders. Sledges can also be rented at the Skistation. 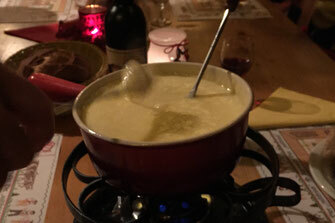 Fondue is served in the "Pistehüttli", Bärghus and Hotel Zum Wasserfall. 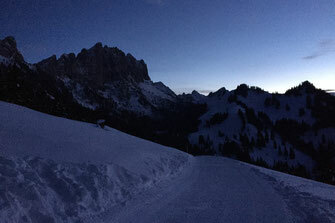 Headlamp and good shoes are recommended. The sledge piste is well prepared and secured. You drive at your own risk.